With its close proximity and easy access to New York City, LaGuardia Airport is a key transportation hub and a critical piece of U.S. aviation infrastructure. When it first opened in 1939, LaGuardia was a spacious, modern facility. However, the 1964 Central Terminal Building was designed to handle 8 million passengers. In 2015, more than 14 million people travelled through the terminal. In 2011, the Port Authority of New York and New Jersey (Port Authority) sought submissions to design, build, finance, operate and maintain a new Central Terminal through a public-private partnership and long-term lease for operations. This would be the largest P3 infrastructure project in U.S. history. 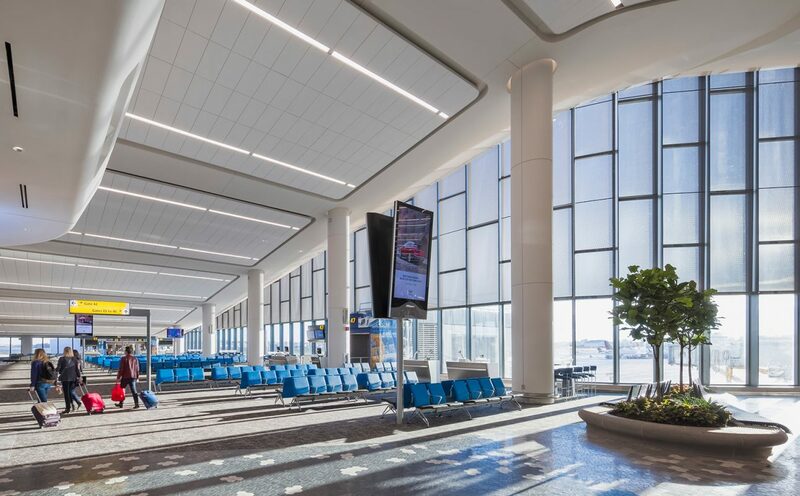 The $4 billion project called for a new world-class terminal to handle current and increasing passenger volume, as well as flexibility for changes in aircraft size, all within the highly constrained footprint of the existing facility. The project also required the current terminal’s operations to be transferred from the Port Authority to a private operator. Operations at the existing terminal would have to run smoothly throughout the construction with minimal disruptions to passengers, airlines and tenants. George Casey, Vantage Airport Group Chair and CEO, at the LaGuardia Central Terminal B groundbreaking event. The scale, complexities and ground-breaking nature of this project suited Vantage’s strengths and experience. We engaged key partners and to create LaGuardia Gateway Partners (LGP) to bid on the project. Harnessing the expertise from across our network and alongside our partners, LaGuardia Gateway Partners developed an integrated, complex and comprehensive plan to give New Yorkers an airport they could be proud of. The LGP team developed a bold vision for this project that minimized risk and disruption, maximizing value to all stakeholders and delivering a great passenger experience. The proposed concept also significantly improved efficiency for airlines, accelerated construction schedule and simplified staging and phasing. The proposed concept also integrated a comprehensive airline strategy, operations management and financing strategy to reduce risk and ensure the project’s success. 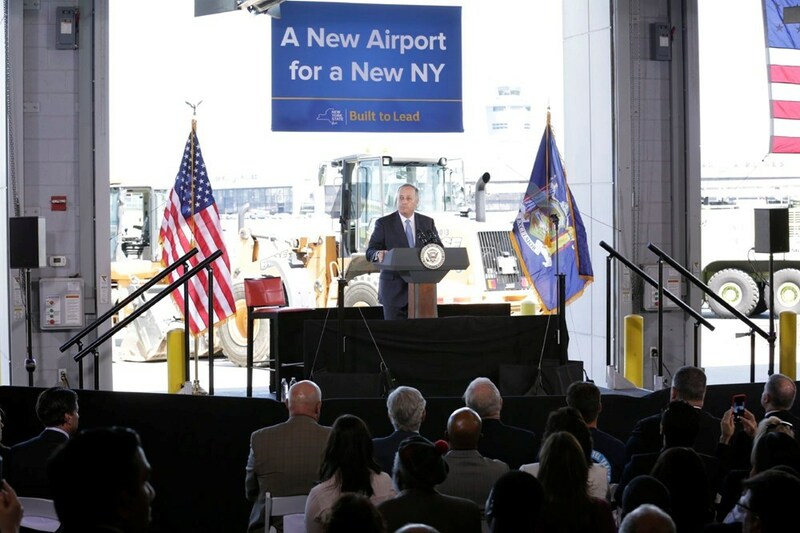 On June 1, 2016, the Port Authority of New York and New Jersey and LaGuardia Gateway Partners signed a lease agreement for the public-private partnership to redevelop, operate and manage LaGuardia’s Central Terminal B. In addition to a new 35-gate Terminal B and Central Hall, key features of the plan Central Terminal B include pedestrian bridges over the active taxi lanes with sweeping views of the airfield and Manhattan skyline beyond. As well, operational enhancements and improved commercial offerings will ensure the new facility will deliver an exceptional experience for both passengers and airlines. Construction is underway with the existing terminal remaining fully operational and not affecting flight schedules. The first concourse featuring 11 new gates and an array of new commercial offerings opened in December 2018, and substantial completion of the project is set for 2022.